Kentucky became a state June 1, 1792, the 15th state admitted to the Union. 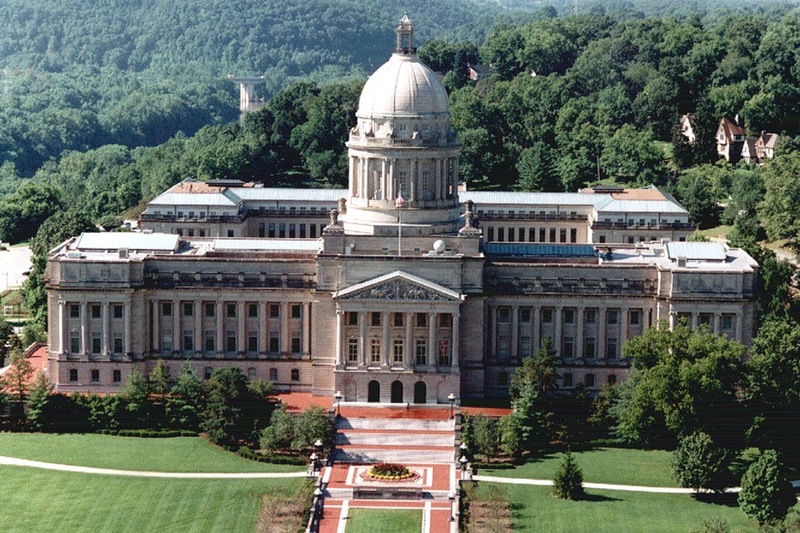 Frankfort was chosen as the state capital in 1792 – a compromise between Lexington and Louisville. The present capitol was built in 1910 and has a small “lantern” cupola on top. Inside the rotunda are statues of both Abraham Lincoln and Jefferson Davis. An unusual Floral Clock is out front, adorned with thousand of flowers. Its mechanism moves a 530-pound minute hand and a 420-pound hour hand. Explorer Daniel Boone and his wife are buried in Frankfort, and the Daniel Boone National Forest is nearby. This area is “horse country,” with farms in Lexington and world-famous Churchill Downs in Louisville. On the first Saturday in May, Governor’s Derby Day is held on the capitol grounds with breakfast, entertainment, and Kentucky crafts. The valleys edged by limestone cliffs; the rolling bluegrass hills with fences made of native stone; the water pure enough for whiskey-making fame; the tulip-planted drive leading to the grandeur of the capitol; the settled peace of sunset as horses graze. Mountains near: Cumberland Mountains. Black Mountain, in the southeast tip of the state, is the highest point in Kentucky at 4,145 feet.